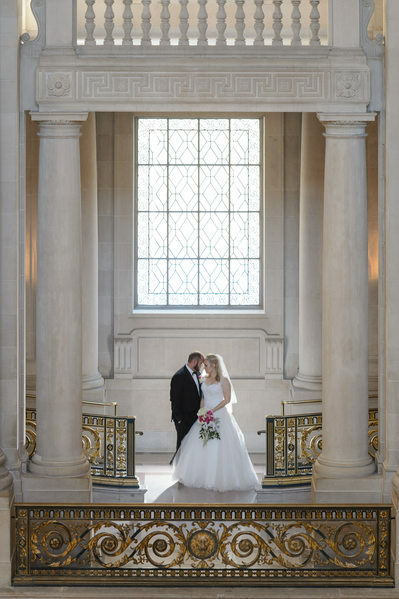 This romantic couple was one of our favorites. 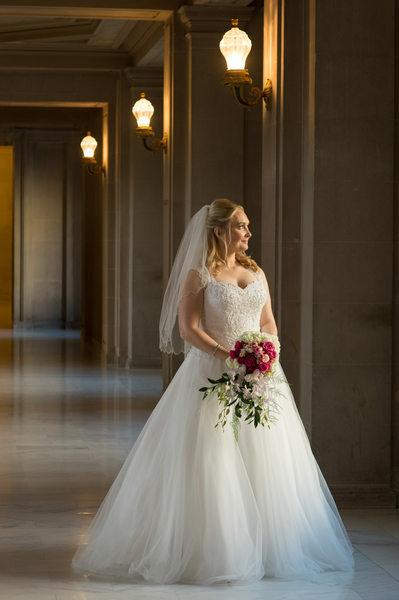 The bride was from Russia and the groom was from Los Angeles. 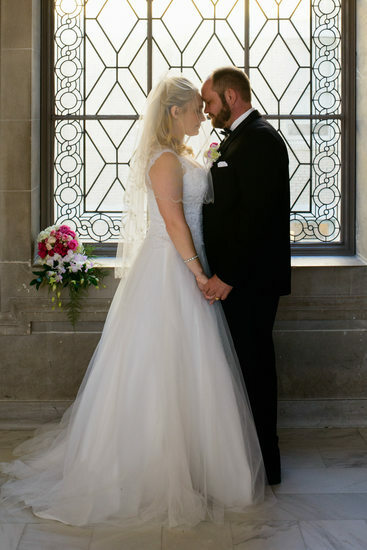 They were very easy to pose because they were so willing to get close to each other and snuggle. 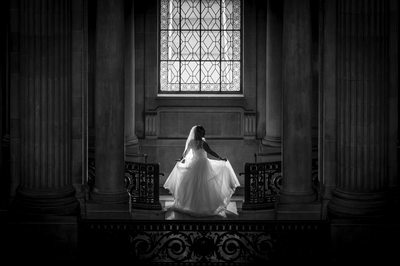 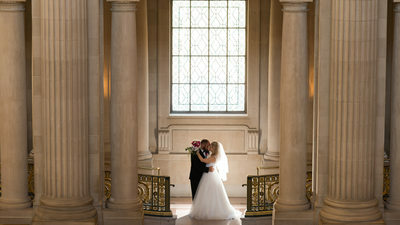 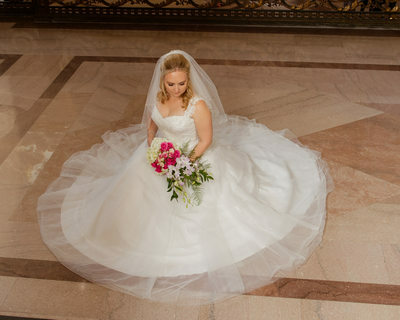 We often tell our City Hall wedding couples that if they want romantic wedding photography, they need to help a little. 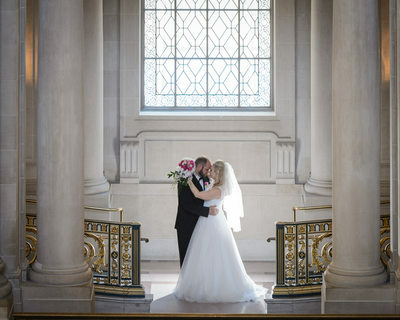 We suggest a pose, but it is up to the couple to carry it out and make it real. 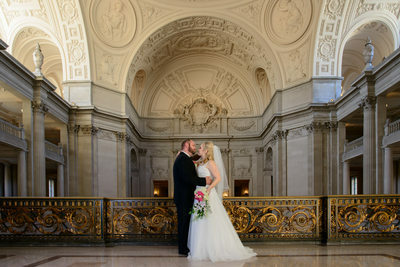 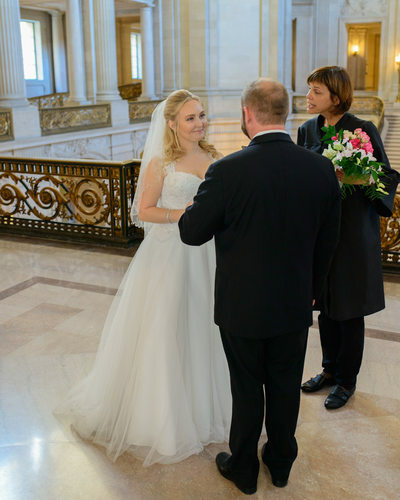 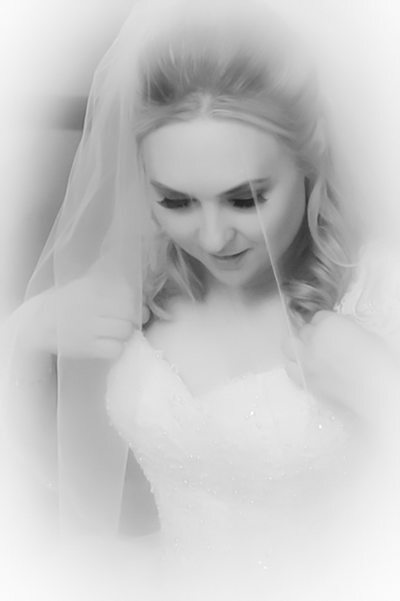 We took this bride and groom to the Palace of Fine Arts in San Francisco and then finished up at Ghirardelli Square. 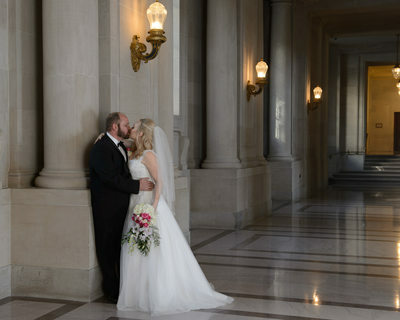 Many couples from out of the area love to go on our San Francisco Photography tour. 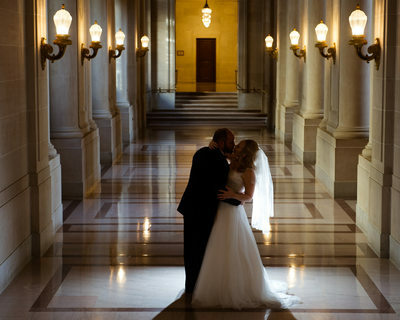 We make this tour a fun adventure and allow extra time for the couple to just enjoy their surroundings. 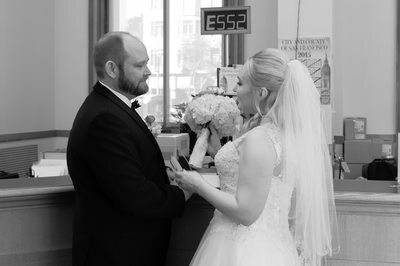 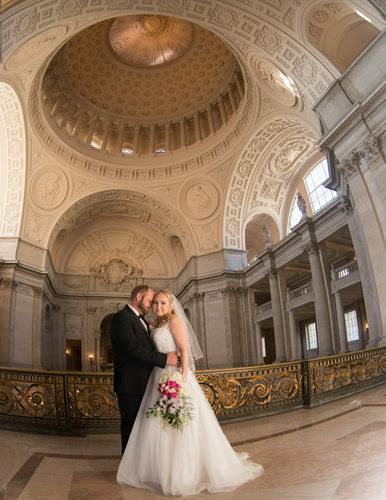 Romance, historic locations and a city hall wedding all in one amazing day.